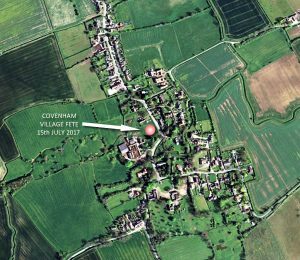 Yes, we are having a village fete on the 15th July 2017 and a big thank you to Marcus and his mum, Beryl, for letting us use the field to the north of Blenheim House near St. Mary’s church. It’s not quite as easy as it used to be, people just getting together socially for games, food and a drink. There is an awful lot of paperwork to be filled in beforehand these days but I’m sure it’s all for the best. Of course, the main reason for organising this fete is to announce the launch of the Share Issue for the Plough. We, the current management committee, want families to have an enjoyable few hours without sitting in a stuffy room listening to a dull presentation. We want you to be in the middle of a field listening to a dull presentation whilst enjoying yourselves. Hopefully this gives a flavour of what we want to do on the day but members of the CPCH Ltd management committee will be available to talk to you about the share offer and plans for the Plough and we will be doing a presentation during the event as well but don’t worry, the bar will be open by then! So far we have Tom Wood’s Brewery (important stuff first) and a hog roast, Muddy Paws Country Store are hoping to demonstrate dog grooming and will be on hand for any pet related questions, they also sell Farmer Brown’s ice cream produced out at Huttoft, excellent stuff. Trevor Oades will be demonstrating the ancient art of bodging and green wood working. Archery will take place at the back of the field and, if you have never had a go, now is your chance. Local cider and apple juice will be available from Skidbrooke Cyder, I know two different spellings but after a couple of pints who cares? Guy keeps it quiet but his cyder was recently awarded third in a national competition that he didn’t even enter! 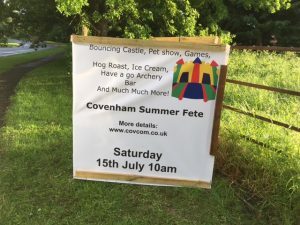 We have games for the kids, a bouncy castle (we thought a bouncing castle might be more difficult to get onto). Coffees, teas, cake and soft drinks will be available in St. Mary’s Church and non of yer ol’ instant tat either! Please download and fill in the entry form so we can be as organised (save time) as possible on the day. Don’t worry if you can’t entries will be accepted on the day. The time table for the day looks like this but there may be changes yet. St Mary Café opens – quality teas, coffees, cold drinks, and homemade cakes. Whatever happens over the next few months we would like to start an annual event and remember two special members of our community that are no longer with us. Heather really wanted to be a part of the team and even though she was seriously ill she helped lay the foundations of where we have arrived today. Pete organised a series of extremely successful quizzes at the Plough in aid of Macmillan Cancer Support and his name usually popped up in conversation when local events were being discussed. Needless to say we are looking for volunteers to help out organising and on the day. If you would like to help out, even just for a couple of hours. please get in touch. We need volunteers to supervise parking, helping out in at the church with the cafe and manning the games stalls. We are also looking for raffle prizes and cakes to be donated, so if you can lend a hand please get in touch via the Contact Us page or [email protected] We can arrange collection of raffle prizes or cakes if required.